Cheap Astronaut Figures - 12 Ct. Ideal topper for a space themed birthday cake! Launch your party into space with these Astronaut Toy Figurines. Make your next space party a hit with these realistically painted astronauts. Great for pretend play or party favors. Create a unique party themed cake by using these as a cake topper. The economical price of these figurines will help you stay on budget for an party, event or themed event. Use these to fill loot bags or party favor bags at your next Birthday, classroom party, or other event. Looking for economical ways to fill party favor bags? 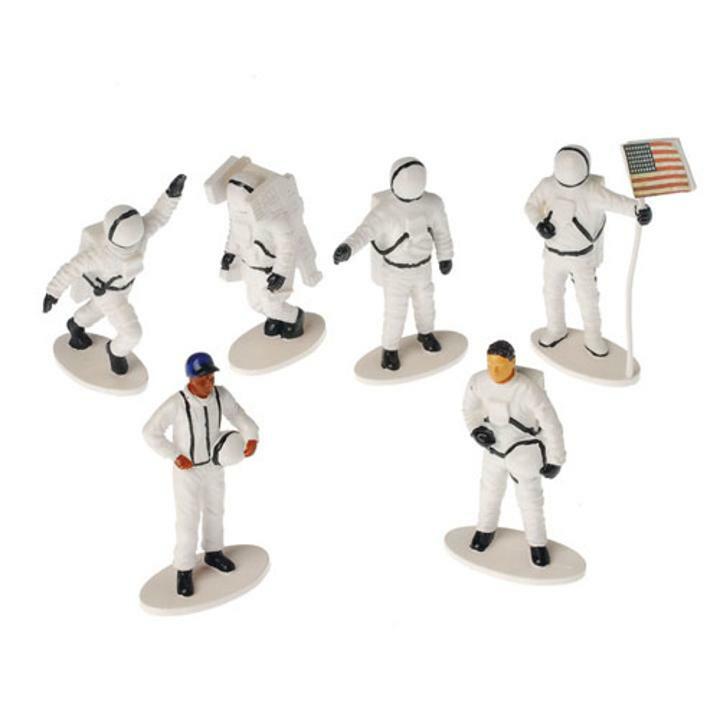 Then look no further than these Astronaut Figures. Stock up on all your party favors, supplies, carnival novelties, small toys and more with US Toy! We have fun and unique toys for all! L: 6.95 in. W: 1.55 in. H: 7.95 in.